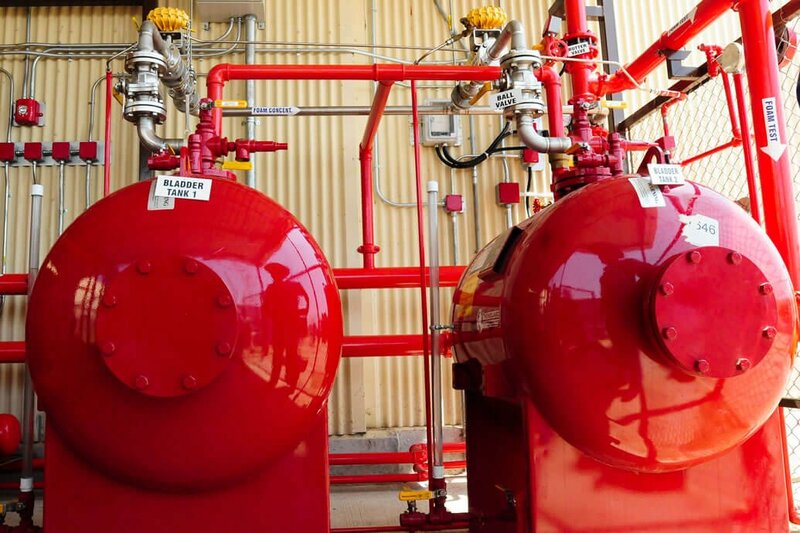 Delta Fire’s recent commission to supply two bespoke large scale Foam Fire Fighting Systems to a prestigious global off-shore company has now been successfully completed on time and commissioned on an off-shore platform providing the ultimate in high-tech foam firefighting protection. Delta Fire have built an enviable reputation amongst major global off-shore companies in this field becoming synonymous in the supply of high quality, state-of-the-art foam firefighting systems capable of withstanding harsh environment conditions around the world. Existing clients that Delta are proud to work with include BP, Conoco Phillips, Shell, Total, AMEC, Chevron, Bechtel, Reliance Industries, ADNOC (Abu Dhabi National Oil Company), BAE Systems Surface Ships and the UK Ministry of Defence to name a few. Delta Fire’s Technical Team has an accumulation of many years’ experience in the design and development of specialist off-shore foam systems with industry experts specialising in every facet of the production process from early stage schematic drawings and computer aided design to operational calculations and manufacturing specifications. Construction is carried out under the strictest controls to the requirements of an ISO 9001 Quality Management System ensuring the highest standards are achieved at all times providing durability, reliability and superb performance. Delta’s worldwide headquarters in Norfolk, UK boasts two ultra-modern manufacturing facilities dedicated to the production of front line firefighting equipment and thanks to a unique in-house ‘test cell’ Delta Fire can provide their clients with full scale demonstrations of the equipment in operation. In compliance with industry requirements all Delta’s foam systems carry full certification.